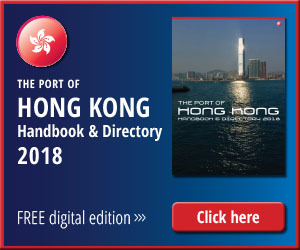 The much-heralded Hong Kong Seaport Alliance is to be gradually implemented from today (1 April). First announced in January 2019, the joint operating agreement is set to deliver enhanced service offerings across 23 berths under a common terminal operating system. Under the new arrangement the 23 berths of the members of HKSPA will be divided into three terminal zones to provide greater efficiency to shipping alliances and individual carriers. Under the new arrangement, a number of efficiency enhancements will be introduced. Among them, inter-terminal trucking will be significantly reduced, and in many cases, eliminated, which should be an important step in bringing cost savings to customers. Commenting on the Alliance between Hong Kong International Terminals, Modern Terminals. Cosco-HIT, and Asia Container Terminals when it was first announced at the beginning of the year, Gerry Yim, managing director of HIT said: “The formation of the Seaport Alliance will further enhance efficiencies, increase utilisation and improve our overall service offering to customers. The HKSPA is actively identifying “best practice” across the four parties, particularly regarding barge services, which is a vital support for our transhipment activities in Hong Kong. Active cross-learning within the alliance will ensure that the benefits of a “terminal neutral” operating model can be achieved and sustained over the long term. “The Seaport Alliance will ensure that the Port of Hong Kong remains a valuable contributor to our economy, both as an employer and as a facilitator of global trade,” he added. 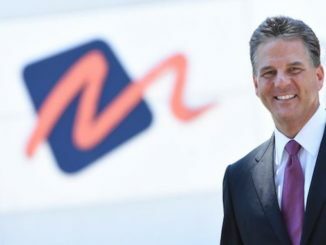 This collaboration is in direct response to a rapidly changing business environment, including the formation of new carrier alliances, carrier industry consolidation, and the dramatic increase in vessel size over the last few years. “The maritime and port industry is a major part of trading and logistics which is one of the four economic pillars of Hong Kong. We will work together to enhance the position of Hong Kong as an international shipping centre,” said Lawrence Shum, managing director of COSCO-HIT Terminals. The members of the Alliance maintain that a vibrant and competitive port is critical to the economy of Hong Kong. The port and logistics sector accounts for 3.2% of the GDP of Hong Kong, and provides more than 174,000 industry related jobs. 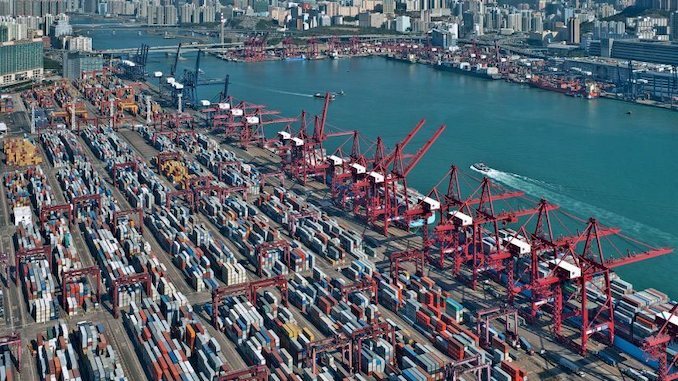 “By achieving additional efficiencies through optimised use of terminal assets, the Port of Hong Kong will continue to be a reliable transhipment hub in the region and a key gateway to China,” said Hanliang Zhu, managing director of Asia Container Terminals Limited. Some doubt was cast on whether the alliance would go ahead when Hong Kong’s Competition Commission announced it would mount an investigation “as a matter of priority” two days after port operators unveiled their plan. The decision came after Government complained it was unaware of the move. Shippers and freight forwarders also raised objections over a possible cargo cartel as a result of the arrangement. However, it now seems apparent that the Commission has found no evidence that the Alliance might break the rules by preventing, restricting or distorting competition in Hong Kong. A fifth operator, DP World, has not been included in the Alliance.